ENHANCED® cork stoppers are natural corks created by utilizing a high-tech production process which ensures high technical performance in a visually pleasing appearance. ENHANCED® stoppers provide excellent sealing and wine preservation over time. Its coating treatment is obtained through a water-based colmation process which fixes cork dust to the stopper lenticels, further enhancing the sealing capability of the product in addition to the visual appearance. This innovative production method allows a complete adhesion of the coating and particles without any migration to the wine. 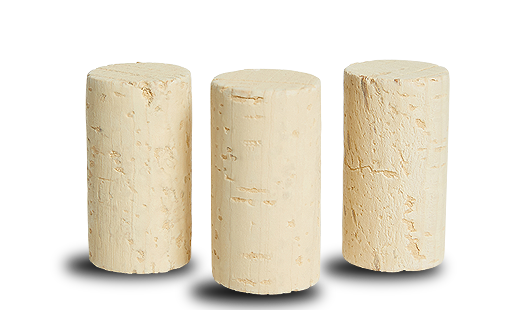 The ENHANCED® stopper is therefore an excellent choice for those who look for the security and the prestige of a natural cork, at an extremely competitive price.